The Sierra Club evaluated each project based on five criteria, including its effects on oil use, the environment, public health, land use, and the economy. A glance through the list quickly reveals both who is innovating for the future and who is wasting staggering sums on backwards projects, with most of the good ones originating from local governments and transit agencies, and the worst coming from state DOTs. The list of “worst” projects is dominated by 1950s-style mega-highways and road expansions, the cost of which frequently reaches into the billions. Among the lowlights is Dallas’s Trinity Freeway, which costs an astounding $222 million per mile. Also notable is Phoenix’s proposed $2 billion South Mountain Freeway, a pricey eight-mile sprawl generator, which, the Sierra Club reports, hasn’t gotten past the planning stages due to lack of public support. 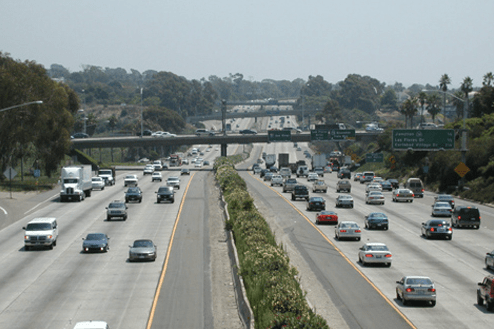 Another worthy “worst” is the Interstate 5 widening in north San Diego County, which would widen the road to 12 lanes for the go-for-broke price of $4.5 billion. Seattle’s Alaskan Way Viaduct — a Big Dig-style buried highway — is also singled out in the Sierra Club’s Hall of Shame. This project, which won out over the idea of replacing a damaged elevated highway with an at-grade boulevard, barely runs two miles but is expected to cost more than $3 billion. Another national embarrassment is I-269 in Memphis — the city’s second outerbelt — which the Sierra Club describes as “mainly a real estate development scheme.” Florida’s proposed 150-mile Heartland Expressway, through some of the state’s last undeveloped natural environments, wins mention as well — not only because FDOT has come out and said it can’t afford the $5.6 billion pricetag, but because it is ethically suspect as well. One of the central advocates is a state senator who, as a major land owner on the corridor, also stands to reap a windfall from its completion. Finally, the Sierra Club calls out the I-265 bridge between Kentucky and Indiana as “the epitome of a classic highway boondoggle.” Not only will this baby hinder fragile redevelopment efforts in downtown Louisville, it scores added points for aggressive wastefulness by tunneling under a private rural property. The tunnel portion alone will add $225 million to taxpayers’ bill for this $2.65 billion project. But before you go and write off the nation as a congested, dystopian hellscape, there’s plenty of good to be found in this report as well. Streetcar projects like the ones in Tucson, Cincinnati, and New Orleans are heralded for their livability returns and expected downward pressure on emissions. Orlando’s SunRail Commuter service, which is expected to have a $7.1 billion economic impact on the region, also gets props. It is joined by METRORail in Houston — which the Sierra Club notes is one of the country’s highest ridership rail routes per mile — and the Purple Line Extension of D.C. Metro light rail project in the Maryland suburbs of D.C.
Washington, D.C.’s phenomenally successful Capital Bikeshare also gets praise — as do local efforts in Chicago and Missoula, Montana to build city-wide networks of bike infrastructure. 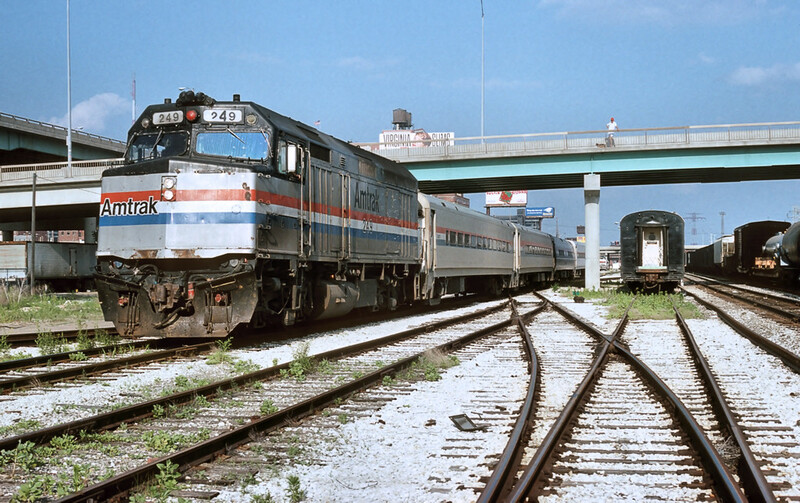 Other notable “bests” include the Atlanta Beltline and high-speed rail between St. Louis, Chicago and Detroit — well underway already and delivering heretofore unheard-of speeds to the American heartland. Interestingly, the Sierra Club reports that the last time it did a “best and worst” report, in 2003, it named 20 “best” projects and 26 “worst” projects. Of the best projects list, 80 percent have been completed or are currently under construction. For the “worst” list, the success rate was far lower, at less than 50 percent. Sounds like the rest of the country is running into the enormous cost of expanding roads through an already built-out area. Something the Northeast faced 50 year ago. Just to clarify, the Purple Line is not an extension of the DC Metro. It is a light rail line that will run circumferentially across many Maryland suburbs, to connect them and connect multiple branches of the Metro. Not mentioned? The ARC Tunnel, which would have been the largest public transit project in the country. The Sierra Club opposed it with the naive hope that it would be redesigned. Instead, the Governor killed it, using Sierra Club’s opposition as cover, and diverted the funding to roads, setting transit in the region back decades. Thanks Sierra Club! Where’s the God-Awful Tappan Zee Bridge? Ah I-5! Is there any threshold number of lanes of freeway that will trigger a light bulb to go off in Caltrans pea-size brain? Reminds me of an obituary I read in the SD Union of a woman who had been born in one of the adobe houses in Old Town that was torn out when they pushed I-5 south of the San Diego River and through the older parts of the city. Good to learn we’re still rolling backward into the future. How about $4 Billion for a Port Authority transit station that serves 50,000 people a day (compared to 750,000 for Grand Central or Penn Station’s 600,000)? Missing from the bad list, amusement park/gondola Oakland Airport Connector, Caldecott 4th bore. But when someone pushes an expensive light-rail project over buses or BRT, the real estate development is touted as a benefit. The Sierra Club is not a valid or legitimate agent to evaluate transportation projects, like the Grammy Award committee is not a valid or legitimate agent to evaluate – say – agriculture infrastructure planning. So I just dismiss any of their biased briefings. They assume development (of any kind) is inherently bad, and once you adopt such position, any project that alters the landscape will be considered bad, be it high-speed rail, monorails, airports, highways, waterway locks etc. The CRC connecting Portland, OR to the state of Washington has to be one of the worst for sure. All great comments (save one that chose to direct the comment/criticism at the messenger rather than the message – I suppose that’s a compliment to the report). Best of/Worst of reports can be really helpful because everything is relative, i.e. pick a state and contrast a best and worst project (if one of each is listed). For example, contrasting electrification of a 150-year old commuter railroad in northern CA with a freeway widening in southern CA is one that most should be able to identify with. And since the report appears to be from the Club’s Beyond Oil campaign, what a contrast – one converts a diesel RR to electricity – which should have been done around the turn of the century (the last one, not the current one! ), and the other crams more fossil-fueled powered cars and trucks onto an expansion of asphalt – itself a product of petroleum. Kudos to the team that wrote the report – Rachel Butler, Ann Mesnikoff and Megan McLean. It is to bad the the Sierra Club’s has lost so much credibility. Even when they have strong ideas and information people don’t listen. It seems the train and bus service in metro’s has the ridership impact worth noting. Although not the answer for many who move about the towns everyday we still need roads that flow. I don’t know if its a skill or talent some drivers lack that create stop and go gridlock but I do know it starts with drivers. Maybe a Green flag like NASCAR uses would help to move the less skilled drivers to other transportation? I know some people reflexively hate highways (the same way that a lot of people in the 1950s reflexively hated railroads, with essentially the same justifications). But can we at least distinguish between useful freeways (you may not like the 710, but it is important to LA-area commerce and industry) and useless political projects (like the 69 freeway, the E-W hwy in Maine, or the king of them all, the 99 freeway in Pennsylvania)? Also, your typical 1950s-era freeway may have been brutal in its route selection, but was actually pretty efficient in terms of amount of ROW and ROI. The real boondoggles are modern freeways to the middle of nowhere that waste a ton of space on wide medians and side slopes. I’m surprised that none of the LA-area transit projects made the “best of” list… Westside Subway will probably be the most important transit project ever built west of the Mississippi. It all comes down to the integration of land use and transportation. Based on that you can identify challenges or opportunities and then propose a project with a “purpose and need and performance measures”. In the past, Level of Service (LOS) was the main and sometimes the only performance measure. If this is the case, then any project alternative (evaluated by its “LOS”) will likely favor capacity increase (adding more lanes). In comparison, VMT and Transit Tavel Time are new measures aimed to balance future projects. Highway and freeway planning in the past was a civil engineering field dominated by questionable traffic assumption and modeling concepts. Very proud of The Atlanta Beltline project – come on down and walk the trails and see the vision for your next vacation! Based on this article, every project which enhances auto traffic is bad, and any project which enhances mass transit is good. That appears to be Sierra Club’s only real criterion. Should I be surprised? There’s also many rail projects that are wasteful of tax payer’s money, completely unnecessary for the population. A high speed rail to link Lincoln with Omaha, Nebraska? To serve how many people per day? Maybe 100 in the high tourist season? Be for real. And the monorail that connects downtown Memphis with a deserted island. What’s the point? Nonsense. The highway widening will cost up to $1.9 billion. It is part of an insanely generous package of giveaways to lure electronics manufacturer Foxconn to Wisconsin.